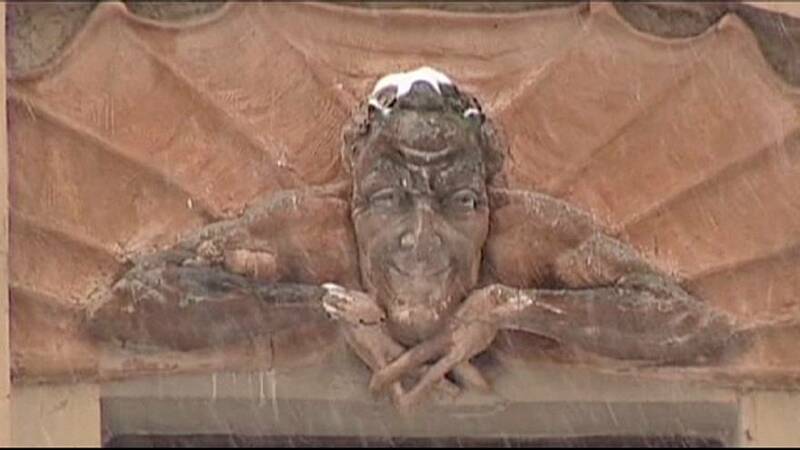 A century-old sculpture of the demon Mephistopheles in St Petersburg has become the latest art work in Russia to be destroyed by activists. The vandalism comes amid fears of increasing religious intolerance in the country. On Sunday about 500 people held a protest in Russia’s second city holding placards saying “hands off our art “. In an open letter the so called Cossacks of St. Petersburg have claimed responsibility saying the sculpture encouraged “open worship pf Satan” and was unacceptable because it was opposite a church. A spokesperson for the powerful Russian Orthodox Church said the attack was an understandable reaction. Earlier this month fundamentalist Orthodox activists attacked several exhibits at a show of sculptures in Moscow, saying they offended believers. Several works by renowned Soviet artist Vadim Sidur were damaged at a cost of around 13,000 euros. Since regaining the presidency in 2012, Vladimir Putin has been promoting a conservative agenda in a move seen as shoring up his support among blue-collar workers and elderly Russians.